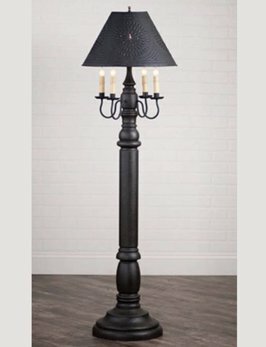 The General James Floor Lamp makes a big statement in your home. Illuminate your reading nook, living room or office. 5 hand-painted, lightly distressed finishes to choose from, solid wood base, metal arms, made in USA. Punched Tin Shade Included.